Sometimes a woman can experience infertility because of internal damage to the reproductive organs. Some women have problems with the uterus or ovaries and as a result, can also experience damage to the fallopian tubes. If a fallopian tube becomes damaged or blocked, it could make it very difficult for an egg to pass from the ovaries and into the uterus, making pregnancy impossible. The good news is that with medical attention, damaged fallopian tubes can be repaired and there are also a variety of different treatments which can restore fertility. Fallopian tubes are a vital part of female reproduction and without proper function; it can be hard to get pregnant. Many women dealing with infertility could actually have some type of damage to the fallopian tubes and not even be aware of it. Damaged fallopian tubes causes could lead to blocked tubes, scarring, and other complications which could make it hard to conceive. Having a blocked tube is one of the most common fallopian tube issues and as opposed to scarring; it could be diagnosed and treated much easier in some cases. In order to determine the cause behind female related infertility, a reproductive endocrinologist could perform a battery of tests which will analyze the fallopian tubes. Some of the tests can include a hysterosalpingogram or laparoscopic surgery, along with possibly doing an ultrasound with contrast dye. The testing should only be conducted by a specialist and a woman should always see a qualified medical professional if fallopian tube damage is suspected. Damaged fallopian tubes causes can remain a mystery until a woman gets medical attention. When suffering from infertility, if a couple wants to try to have a baby naturally without assisted reproduction, it is important to explore all options. Even if a couple is not able to conceive naturally, it is no reason to give up hope for the future. Through knowing what options are available, a couple can make an informed choice and find the solution which will work best for their unique situation. 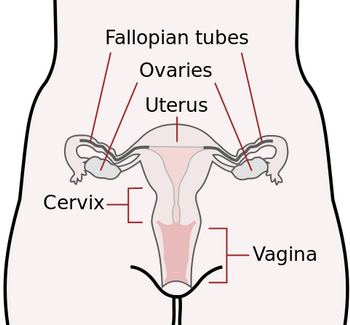 Blocked Fallopian Tubes: What Does that Mean? Biology hwk. fallopian tubest and pregnancy.